Pi cutting or serving board . 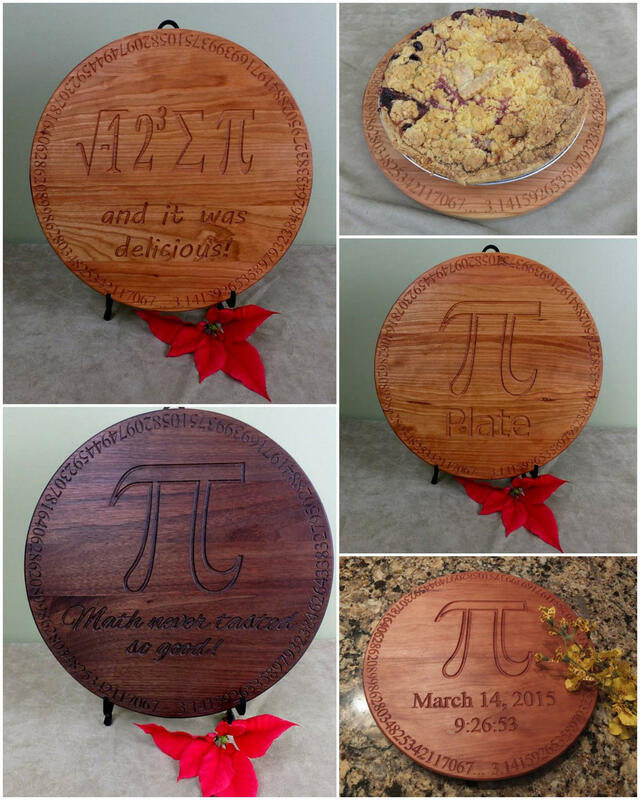 Math themed pie plate, great graduation gift or teachers gift! 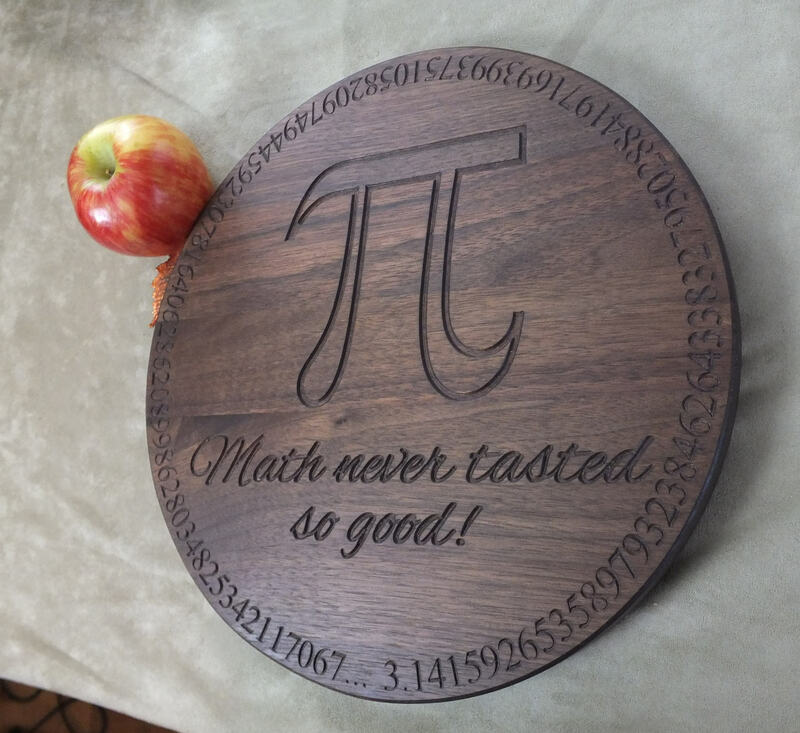 Great Pi Day gift for a favorite teacher, a graduate or the geek in your life. 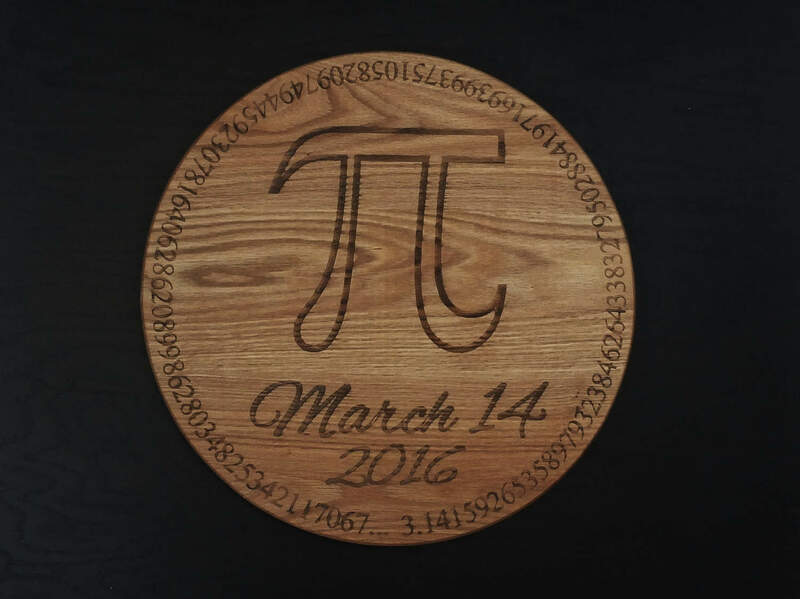 Digits of pi are deeply engraved around the message in the center of the plate. 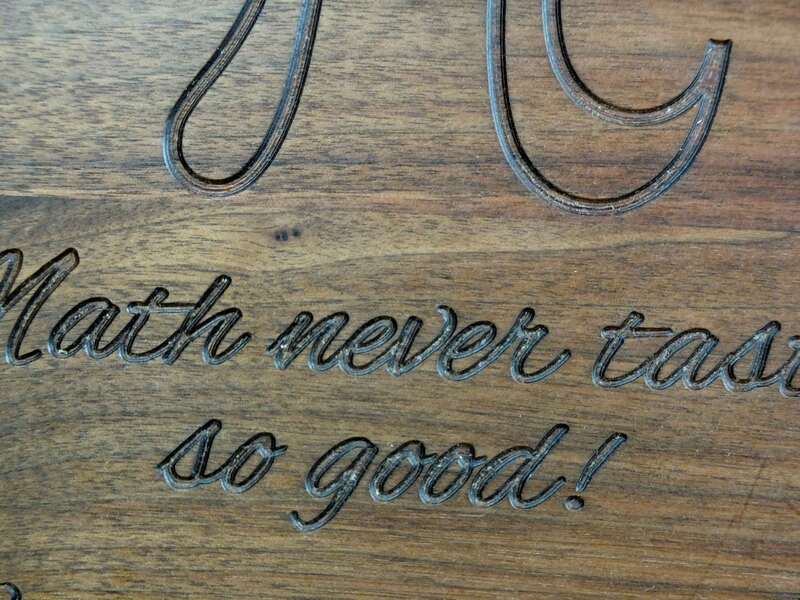 Please note, we laser engrave these items, so the letters are darker than the wood. Walnut has the least contrast. This plate is just the right size to hold a 10" pie plate. The digits around the border of the plate can still be seen with pie in place. The plate can be ordered with or without feet, in maple, walnut, cherry or white oak. We can add a name and date line, in place of the word 'plate', for no added cost. Customize to remember that special Ultimate Pi Day event! We use a mechanical engraver to create our products. The carving on our boards is distinct, caused by the play of light and shadows in the deeply engraved surface. We use only North American hardwoods, preferring to source our materials locally rather than get exotics shipped from other continents or bamboo, which is loaded with fillers in order to produce a wood-like material from a grass.